AD60 Underground Mining Truck - Amalgamated Mining & Tunnelling Inc. | Amalgamated Mining & Tunnelling Inc. 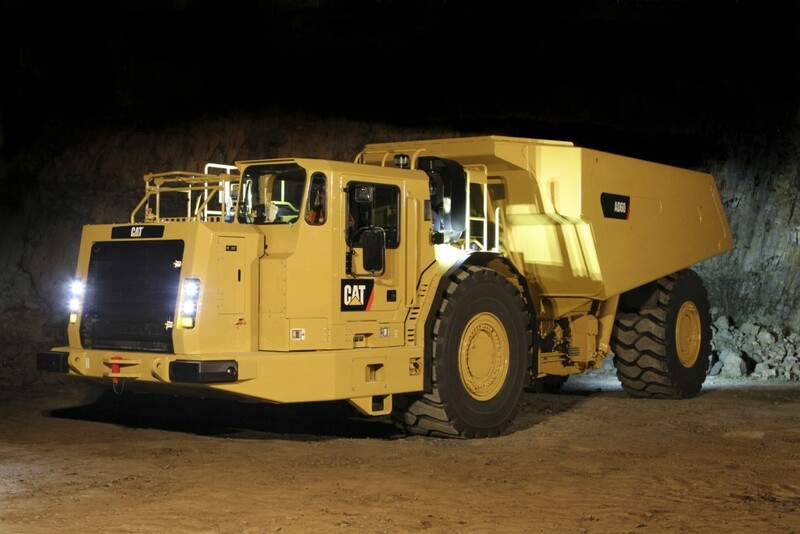 The AD60 Underground Articulated Caterpillar Mine Truck is designed for high production, low cost-per-ton hauling in underground mining applications. Rugged construction and simplified maintenance guarantee long life with low operating costs for this mining vehicle. Engineered for performance, designed for comfort, built to last. The Cat ® C27 engine with ACERT™ Technology offer the perfect balance between power, robust design and economy. Cat oil-cooled multiple disc brakes offer exceptional, fade resistant braking in all haul road conditions.